The weather is heating up outside and though I dread turning on the oven, a must have at any summer cookout is mac & cheese. A natural side for BBQ and/or smokes meats, mac & cheese is also a great option when entertaining guests. Adding a little bourbon to this classic childhood favorite gives it a grown-up flavor and feel that can't be beat. Oh my yummy. Never thought of adding bourbon into my mac and cheese..
Yum! This looks incredible. Love the use of kerrygold cheese. Well, now! What could be more tasty and indulgent at a BBQ than bourbon macaroni and cheese? Yum! Woah, I bet this tastes great! Did someone mention bourbon? 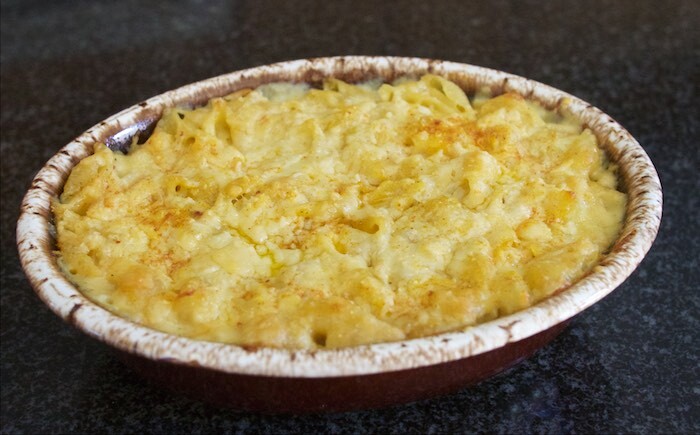 I ADORE bourbon, and I'm sure I'd adore your bourbon mac and cheese!!! Um, yes please!!!!!!!! You had me at bourbon and mac... 2 of my favorite things!!! This sounds awesome with such a yummy flavor profile! Oh my goodness, such comfort in a bowl! Mac and cheese is totally one of my favorites haha adding bourbon just makes it even better! Totally agree! It's a must, no matter the weather! Oh wow! This sounds amazing! I'm a huge homemade mac n cheese fan. Want to know more about Bank Tracker Bot Software Review? Is Bank Tracker Bot System Legit or Scam? Read My Honest Bank Tracker Bot Review First.